If you’re going in the wrong direction, it doesn’t matter how fast or hard you work — you’ll never get to your intended destination. Likewise, no matter how beautiful your marketing materials are, if they don’t address the needs and desires of customers and prospects, they’re probably not delivering. Before designing anything I learn what’s most meaningful to your customers and markets — and develop a solid benefit-driven marketing strategy. I look for opportunities to connect with people and get them to take action. I develop a full array of marketing tools for businesses. I connect marketing, sales, and outreach so they work together as a fine-tuned vehicle advancing toward its targeted destination. People love real-life stories. One of my core beliefs is in the importance of using testimonials and real-world stories to reinforce the customer experience. How did the product or service solve a problem, change a life, make a difference? When you say how great you are it’s bragging. When someone else does it, it’s a powerful sales tool. I excel at using customer stories and testimonials to get new customers and sell more product. Businesses always understand what it is THEY do, but often have a hard time explaining it in a way that’s simple and meaningful to potential customers. People need to know how a product or service will make their lives better. It’s all about PEOPLE to me. Finding better ways to reach out to people and leave a lasting idea. 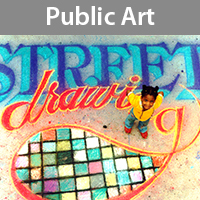 I design powerful messaging using words and imagery in tandem. Media like banner ads don’t often provide enough space to tell the full story. I love to develop simple ‘hooks’ for catching potential customers and then directing them to landing pages where the value proposition can be clarified and the sale closed. Too often, strategic plans are drafted, but execution is weak or meanders far from the intended plan. I have a long track record for executing strategically-driven campaigns that are on target (and within budget). I consistently create powerful communication tools that connect with customers, and create a response. My work is much more than beautiful. It’s what has sold product, put money in the bank, and helped companies succeed. Email marketing can be a powerful tool for your business. If you don’t already have a program I can build it for you. If you already use email marketing I can power it up and grow your list. I have more than 5 years experience creating email marketing programs for major brands. I’m dedicated to reaching out to consumers and communicating a clear simple value proposition. Earning and keeping the trust of consumers is at the root of what I do. As Art Director for e-Commerce at Vital Choice — a 10-year-old direct-to-consumer retailer of premium seafood and supplements — I designed, produced, and sent 2 newsletters each week to our list of more than 100K customer subscribers. Under my leadership the newsletter became a powerful revenue-producing tool — producing $35-40,000 per twice-weekly issue. 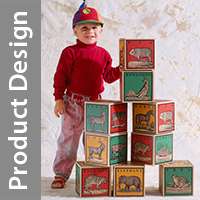 I also produced numerous product-specific email and web campaigns. Black Friday thru Cyber Monday revenue from email was $587,045. I’m experienced at developing logistics for complex e-commerce marketing programs. I utilize A/B testing as a tool for deciphering the nuances of consumer behavior. 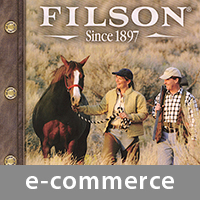 At Filson, a premium outdoor clothing & gear brand, I drove direct sales through e-mail blasts to their list of over 100,000 customers. I developed a strong e-mail contact plan based on powerful testimonial-based storytelling, compelling visuals, and incentives. I develop informational & e-Commerce websites that reach out to customers, effectively communicate value and sell products. 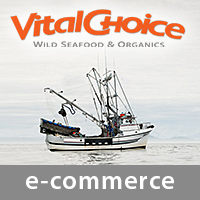 As Art Director for e-Commerce at Vital Choice, a 10-year-old direct-to-consumer retailer of premium seafood and supplements, I was responsible for driving sales through email marketing and web initiatives. I build responsive websites that work across multiple platforms and devices — including tablets, smartphones, and desktops. I develop e-commerce marketing programs that integrate e-mail, web landing pages, and social media. If you already have a business website, I can increase its effectiveness and reach. Making consumer brands stand out in the hyper-competitive retail environment is my forté. 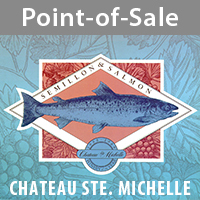 I’ve designed point-of-sale for national brands including four multi-faceted campaigns for Stimson Lane, the parent company of Chateau Ste. Michelle and Columbia Crest. I’ve designed 3-dimensional and motion displays. I also designed a full array of collateral support materials including recipe brochures; bottleneck hangers; ceiling danglers; trade brochures; and dealer incentives. 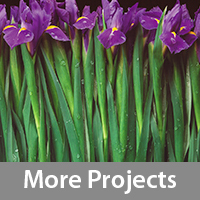 I source manufacturing and oversee production for all projects. 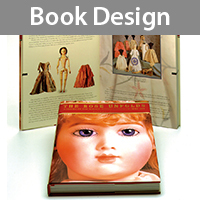 Printed materials may still play an important role in your marketing efforts. They can drive customers to your website, promote special offers, or package information used in in-person sales presentations. I have vast expertise in creating mailers, catalogs, and sales kits that integrate with your web, email, and social media marketing efforts. Blogs are an essential part of the social media toolbox for businesses and organizations that perceive value in connecting with their customers and building community. I develop blogs that play well with social media. Great stories (blog posts) get shared far and wide via social media, extending your brand’s reach. Blogs, when integrated with social media, can create meaningful relationships with consumers and be powerful community-building tools. I’ve been a professional blogger, blog developer and ghost-blogger for clients. I’m experienced at creating the nuts-&-bolts back-end as well as managing online communities. 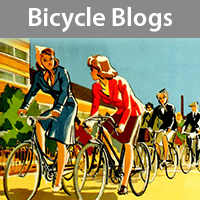 Several years ago I started TUBULOCITY, an online magazine & blog dedicated to bicycle culture, as a laboratory for developing my social media skills. It’s been on hold due to time constraints, but was getting 9,000+ views each month and had some paid advertisers. It was a go-to destination for interesting stories about bicycle history, trends, and interesting stories. I created lots of compelling original content. I interview, photograph, and film people I randomly encounter or hunt down by bike. I’m using PEOPLEONBIKES to showcase my expertise in reaching out to people — using social media in a way that’s meaningful, and building communities. I’m one of the first adopters of the new .BIKE domain suffix. A blog may be a great marketing outreach tool for your company. If you already have a blog, I can power it up to reach more people and bring value to your business. I create web banner ads that deliver eyeballs and clicks with smart concise calls-to-action. I also create ads for print (remember magazines?). I power consumer action with words and visuals — strategically developed to make people stop, take notice, and think. I love using compelling customer stories and humor to make brands and products stand out from the crowd.